The world's newest and most technically advanced acoustic string. 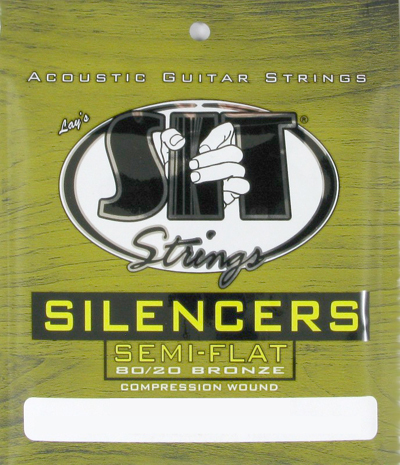 The Silencer process of "Inverse String Winding" compresses the outermost part of the cover wrap while leaving the internal portion of the string intact. This design - exclusive to S.I.T. - produces a silky feel minimizing finger and fret noise, but explodes with a round wound sound!